“20 years ago the people of Quintana Roo had to go to other states to attend university, and today, in 8 out of 10 municipalities we have universities for young people to pursue a career”, declared Félix González, governor of the state. 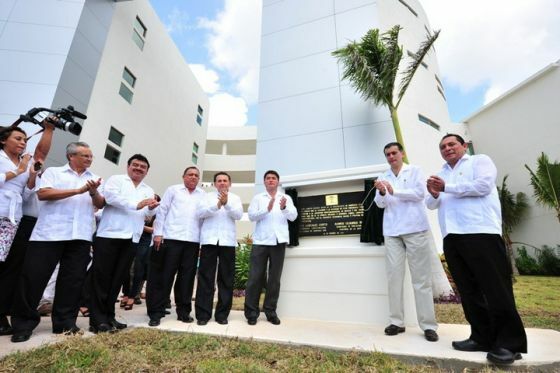 The governor, along with Alonso Lujambio of the Secretary of Public Education (SEP), inaugurated the Riviera Maya Campus of the University of Quintana Roo (UQROO) whose investment exceeded 345 million pesos. The UQROO is the principal public university in Quintana Roo, based in Chetumal with locations in Cozumel and now Playa del Carmen, where the new facilities will offer three career options.